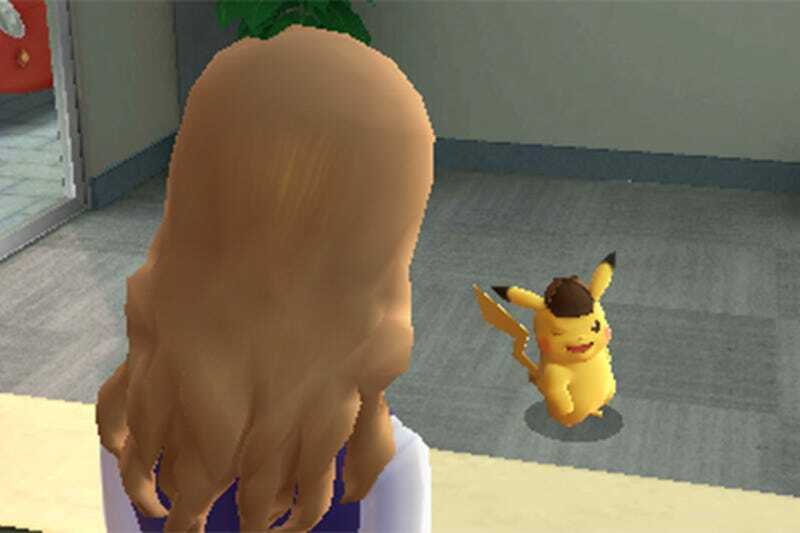 Make no mistake, Detective Pikachu is not a good game. It has personality, but the voice acting is mediocre at best, the gameplay consists of boring dialogue trees, ridiculous easy puzzles and pointless QTE’s, and the plot is just as painfully slow as the anime. But my sister and I had a blast going through it together. A while ago, I finished reading the entire Harry Potter series to my nine-year-old sister, which took about four years to complete. I didn’t want to start up another long series such as The Lord of the Rings, as I’m going away to college soon and won’t be able to read to her any more. So instead, we agreed that I could “read” through Detective Pikachu together. This worked because the whole of Detective Pikachu requires nothing but your ability to read and watch cutscenes. The dialogue is hopelessly repetitive, and Pikachu talking to Pokemon saying “Huh, timmy fell down a well?” gets real old, real fast. But we decided to have fun with it. I noticed that all of the minor NPCs had holes for eyes, making them look like they were dead inside. I used this to make dark jokes about them while they were talking. For example, if an NPC said something such as, “This ice cream tastes great!”, I would continue by saying, “It almost makes me forget about my life’s failures.” Or if a pokemon repeated an English word as part of their cry, I’d pretend it was actually saying that word. For example, a Pansage had the cry, “Pan! Pan!” So if Pikachu asked the Pansage about how to get past some guards with Pansage responding in its cry, I would say in Pikachu’s gruff voice, “Of course! We can hit them with the pans!” It wasn’t half as funny as an episode of Game Grumps, and it’s even less funny written out, but it would always send my sister into a fit of giggles, and helped me from losing my mind. Do any of you have games you like to play with other people (children, family, significant other, friends, etc) that you’d never play otherwise? Let me know in the comments!